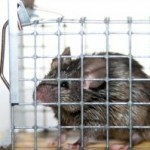 How many years will the mouse get for stealing marijuana from the evidence room? Cannabis is the same thing as marijuana. The more popular names are weed and pot. It may be referred to as hash. How do you prove a possession of marijuana case? When a person is arrested for Jacksonville possession of marijuana, he or she is in actual or constructive possession of cannabis. The police may take the accused to jail for this Jacksonville drug charge. They also have the option to give the person a notice of appearance citation for misdemeanor possession of less than 20 grams of cannabis. Whether person is arrested for the marijuana charge or given a criminal citation, the police officer will take the marijuana as evidence. The marijuana is taken to the property room or evidence room. In Duval County, the property room is not at the jail. In St. Johns County, the evidence room is at the jail. It does not matter where the property is located. It is kept with the same policies and procedures to ensure its security. Why do the police keep the marijuana? Think about it. If you are charged with Jacksonville possession of cocaine, the prosecutor will introduce the cocaine as evidence. If you are charged with Jacksonville possession of drug paraphernalia, the state attorney will bring in the pipe as evidence against you. What if you walked up to a police officer and said, “I smoked weed last night.” If you are currently on probation, this could lead to a Jacksonville violation of probation warrant. When your on probation, you cannot take illegal drugs and your admission may be used about you to violate your probation sentence. What if you are not on probation? The police officer cannot arrest you for having marijuana in your system. You are no longer in possession of the marijuana. How can you be charged with possession of cannabis in Florida? With this understanding, it would be very hard for the state attorney to prove a drug case without the drugs. It does not matter if you are dealing with a Jacksonville juvenile drug possession or an adult drug charge. The law is the same. It requires the state to prove a criminal case beyond a reasonable doubt. It’s hard to prove a case without the drugs. “Wichita police say they have an unusual case on their hands. Mice chewed into some evidence containing packages of marijuana in the property and evidence department at 410 North Waco. 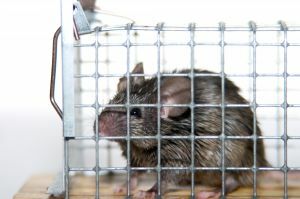 Police say the mice were looking for a place to stay or perhaps food.” (Police rat out marijuana culprit). It will be interesting to see what happens with these cases. I hope that the media follows up on this. If you are facing Florida drug charges in Duval, St. Johns, Clay, or Nassau County, contact a Jacksonville lawyer for help. Call 20 Miles Law at 904-564-2525 to speak with a Jacksonville attorney.